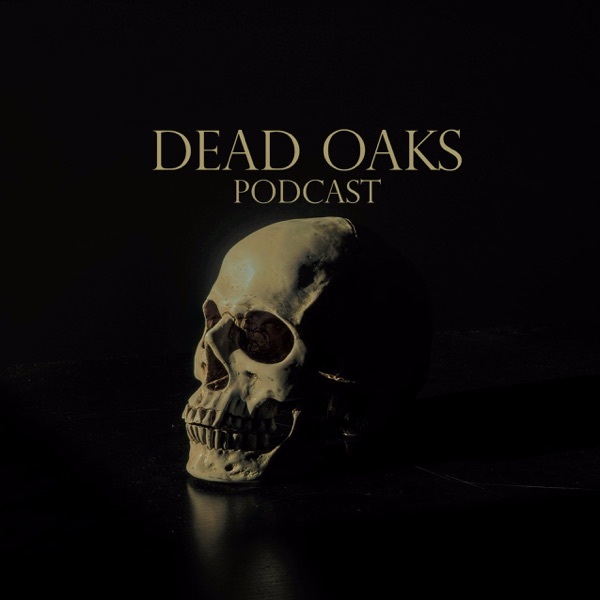 Dead Oaks Productions | Listen Free on Castbox. In this episode, Chris and special guest co-host Ben Bradley discuss hauntings and a possible case of demonic possession with our friend, Nic Kiernan.Join us in 2019 when Erick and I sit down to talk with even more people about their paranormal stories and experiences. And if we’re lucky, maybe Ben will join us again.All My Ghosts is a Dead Oaks Production. Music in this episode was “Creepy 3,” written and performed by Nicholas Critney. For more information, find us on Twitter, @Allmyghosts, @Christoph_waltz, and @bjhbradley. Follow Nic on Twitter and YouTube, @NationalFreak. Join us as we discuss tarot cards, communicating through ouija boards, and more in part 2 of our interview with RN, roller derby pro, and voice of Clara Beaufort on Dead Oaks Podcast, Erin Lynn.Join us on October 28th when Chris and special guest co-host Ben Bradley discuss ghosts and a possible case of demonic possession with our friend Nic Kiernan.All My Ghosts is a Dead Oaks Production. Music in this episode was "Creepy 3," written and performed by Nicholas Critney. For more information, find us on Twitter: @allmyghosts, @christoph_waltz, and @erickend. Join us as we discuss paganism with this month's guest, roller derby pro and the voice of Clara Beaufort on Dead Oaks Podcast, Erin Lynn.All My Ghosts is a Dead Oaks Production.Music in this episode was "Creepy 3," written and performed by Nicholas Critney.For more information, find us on Twitter: @allmyghosts @christoph_waltz and @erickend. Join us for part 2 of our discussion with Erin in ONE WEEK, on September 30th. Are we alone? Join us as we discuss UFOs and extraterrestrial life with our friend Brandon Medley.All My Ghosts is a Dead Oaks Production. Music in this episode was "Creepy 3," written and performed by Nicholas Critney. For more information, find us on Twitter: @allmyghosts @christoph_waltz and @erickend. Follow Brandon on Twitter: @brandmed. And join us for our next episode on September 23rd. In the premiere episode, hosts Erick Endres and Christopher Waltz as they sit down to discuss their own beliefs about topics from ghosts, to Bigfoot, to the Jersey Devil and more, as well as their own paranormal experiences.All My Ghosts is a product of Dead Oaks Productions. Music is this episode was Creepy III, written and performed by Nicholas Critney. For more information, find us on Twitter: @AllMyGhosts.To the best of our knowledge, every story discussed on this show is true--and we will treat it as such. Whether or not you believe is up to you. All My Ghosts 1: What Do We Believe? In the penultimate episode of Otto's Story, Clara reveals crucial information about her past as Otto comes to her rescue--but escaping the Nether with their lives will be easier said than done.Today's episode, "Clara's Story," was written by Christopher Waltz. 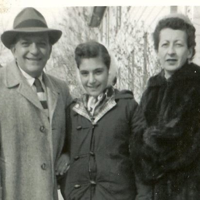 The voice of Otto Gillespie was Aaron Beck, and the voice of Clara Beaufort was Erin Lynn. Music in today's episode was "Creepy," written and performed by Nicholas Critney.Join us in two weeks for the final short story episode of Dead Oaks, "No Trespassing" by Christa Carmen, and tun in on May 13th for the series finale of Otto's Story, "The Last Tape. "For more information, find us on Twitter: @DeadOaksPodcast. "Do You Believe in the Devil?"